Hey there everyone! This week I’m going to share some stuff about one of my favorite colors – green! I love to use it in art because of the opposing meanings this one color can mean. In certain contexts it can represent health, peace and vitality, and while in others it can mean jealousy, sickness, or even death. It’s a very versatile color that is worth taking the time to learn about. Green is said to be good for the heart. On a physical and emotional level, green helps the heart bring physical equilibrium and relaxation. Green relaxes muscles and helps in breathing deeper and slower. Green is a nurturing color and helps when feeling physically, mentally or emotionally drained. Green creates feelings of comfort, laziness, relaxation, calmness. It helps balance and sooth our emotions. Some attribute this to its connection with nature and our natural feelings of affiliation with the natural world when experiencing the color green. Yet, darker and grayer greens can have the opposite effect. These olive green colors remind us of decay and death and can actually have a detrimental effect on physical and emotional health. Green is associated with nature, health, growth, harmony, balance, hope, rejuvenation, relaxation, vitality, reliability, dependability, calmness, practicality, family, nurturing, home, sympathy, generosity, wealth, envy, loyalty, possessiveness, materialism, over-cautiousness, greed, selfishness, inexperience, deviousness, sickness, prosperity and endurance. Green was the traditional color of Irish nationalism, beginning in the 17th century. The green harp flag, with a traditional Gaelic harp, became the symbol of the movement. It was the banner of the Society of United Irishmen, which organized the Irish Rebellion of 1798, calling for Irish independence. The uprising was suppressed with great bloodshed by the British army. When Ireland achieved independence in 1922, green was incorporated into the national flag. In the 1980s green became the color of a number of new European political parties organized around an agenda of environmentalism. Green was chosen for its association with nature, health, and growth. Green parties are found in over one hundred countries, and most are members of the Global Green Network. Fern Green is occasionally used by political organizations and groups who advocate the legalization of Medicinal use of Marijuana. Green is the traditional color of Islam. According to tradition, the robe and banner of Muhammad were green. And according to the Koran, those fortunate enough to live in paradise wear green silk robes. Al-Khidr (“The Green One”) was an important Qur’anic figure who was said to have met and traveled with Moses. He was given that name because of his role as a diplomat and negotiator. Green was also considered to be the median color between light and obscurity. In the Eastern Catholic Church, green is the color of Pentecost. Green is one of the Christmas colors as well, dating back to pre-Christian times, when evergreens were admired for their ability to maintain their color through the winter season. In Ireland and Scotland especially, green is used to represent Catholics. In Wicca, green is used in spells to promote growth, good health, financial success and good luck. Green also has a strong connection to Druidism and the majority of nature-based paganism. Green is also associated with the astrological signs Taurus, Capricorn and Virgo. The signs of the Sheep, Rabbit and Snake in the Chinese Zodiac are associated with green. The Heart Chakra is green and located in the chest area. As the name implies, it deals with giving and receiving love and the actual heart organ. Archangels Raphael and Anael are sometimes associated with green. Green is associated with the planet Saturn. The color green’s stone is Emerald, and its musical note is F.
Well I hope you enjoyed this week’s post! Check back next time for when I write about one of the most awesome colors ever…blue! 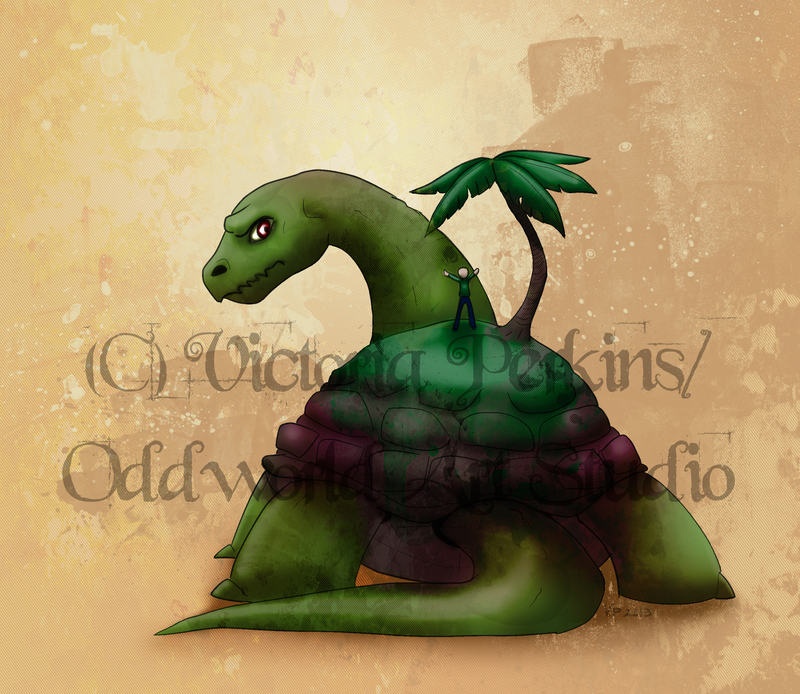 This entry was posted in On Color and tagged art, color, esoteric, green, magick, odd, oddworld, politics, psychology, religion, spirituality, symbolism, victoria perkins. Bookmark the permalink.